The Savannah State Community Booster Club is sponsoring a day trip to the SSU Tigers vs. Florida A&M Rattlers football game in Tallahassee, Fla., on Saturday, September 22, 2018. The cost of the trip, including transportation (charter bus) and game ticket, is $85 per person. The bus will start loading at 7:30 a.m. at the Tiger Arena East End parking lot and will depart at 8 a.m. The game starts at 4 p.m. For more information, contact Barbara Mc- Ghee at 912-352-7800. 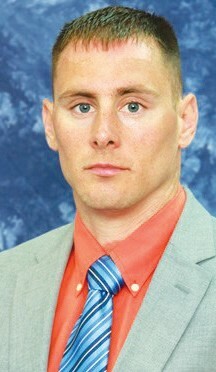 Justin VanDusene has been hired as the new Savannah State strength and conditioning coach. VanDusene, who spent the past three years as an assistant strength and conditioning coach at Limestome, replaces Sam Chatman. While at Limestone, VanDusene was primarily responsible for wrestling, softball, and men’s/ women’s swimming and assists with the football team. He also assists with the training of players from women’s basketball, men’s/ women’s lacrosse, baseball, track & field, field hockey, men’s/women’s soccer, and men’s/women’s volleyball. Prior to working at Limestone, VanDusen spent the first half of 2015 serving as a volunteer strength and conditioning intern for the United States Naval Academy. A graduate of Kent State University, VanDusen obtained a B.S. in Exercise Science with a concentration as an Exercise Specialist in the Fall of 2012. He also went on to obtain a M.A. in Sports and Recreation Management in the Fall of 2014. While at Kent State, Van- Dusen got his feet wet in the strength and conditioning department during a summer internship in 2012. He then transitioned into a volunteer assistant coach during that fall before becoming a graduate assistant that spring following his graduation. Specialist through the International Sports Science Association. Preseason honors keep coming for members of the Savannah State football team, especially senior defensive lineman Stefan Banks. Already named to the MEAC preseason all-conference squad and the HBCU Gameday Preseason FCS All-American team, the Columbus, Ohio native recently was tabbed to the Phil Steele All MEAC Team and the BOXTOROW HBCU All-American team. And he was recently selected to the Black College Football 2018 Player of the year Award Watch List to win the Deacon Jones Award. In addition to Banks, three other Tigers were named to the Phil Steele All MEAC Team. Ja- Michael Baldwin made the first team as a punt returner and made the second team as a kick returner. Defensive lineman Brandon Carswell made the second team and tight end Paris Baker made the third team.